This sweepstakes and Post about adding color to a Tween’s Playroom, is sponsored by Wayfair.com I have not done much decorating to my kids playroom since we moved to our home almost 8 years ago. 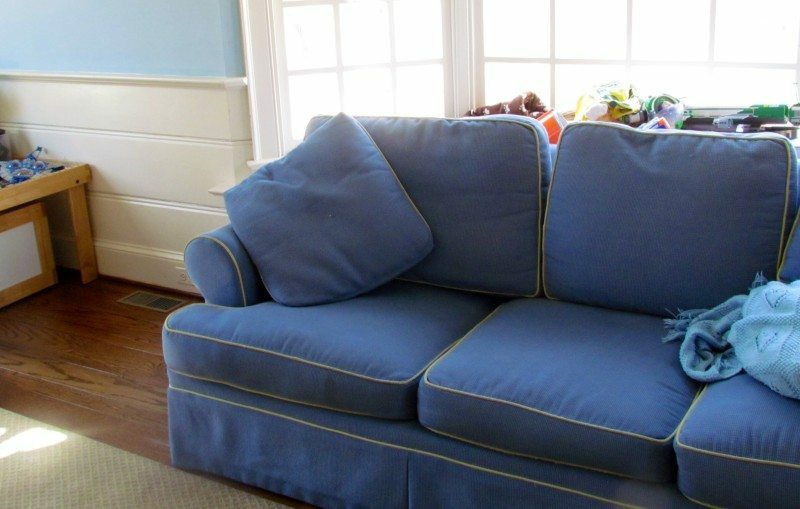 While it was cute and overrun with toys for the last several years, the kids are getting older and I realized the couch area was looking pretty dull. I am not looking to redecorate the entire Tweens play room just want to add a pop of color. Here is the picture of the playroom, you see although it is a blue color the area was missing something, but not sure what. I went on to Wayfair.com and starting looking around. Wayfair has everything from kitchen electrics to baby supplies. Since we are always looking for more seating in our home when we entertain, I looked at a few Ceramic Garden Stools as an option. 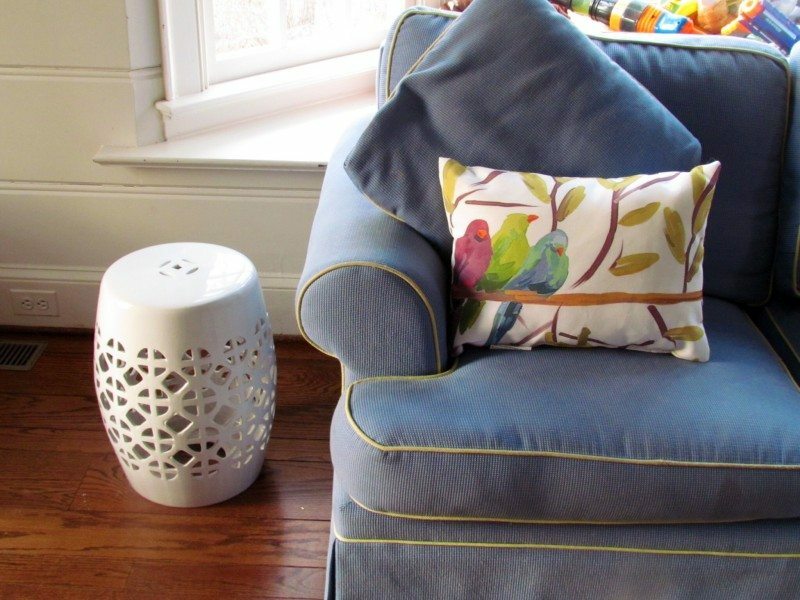 I first saw this ceramic stool on Wayfair.com but was not sure I wanted to spend $186 for the tween’s playroom. I ended up with this Ceramic Stool that I happened to find on their daily sale for under $100. I purchased it in white not this color, but I think it would be beautiful in this almost robin egg blue. Since in my head I really only wanted to spend around $125 for this room because I know eventually we will be repainting it and making it more of a TV room, I looked for a pillow that I could transition to almost anywhere else in the house. 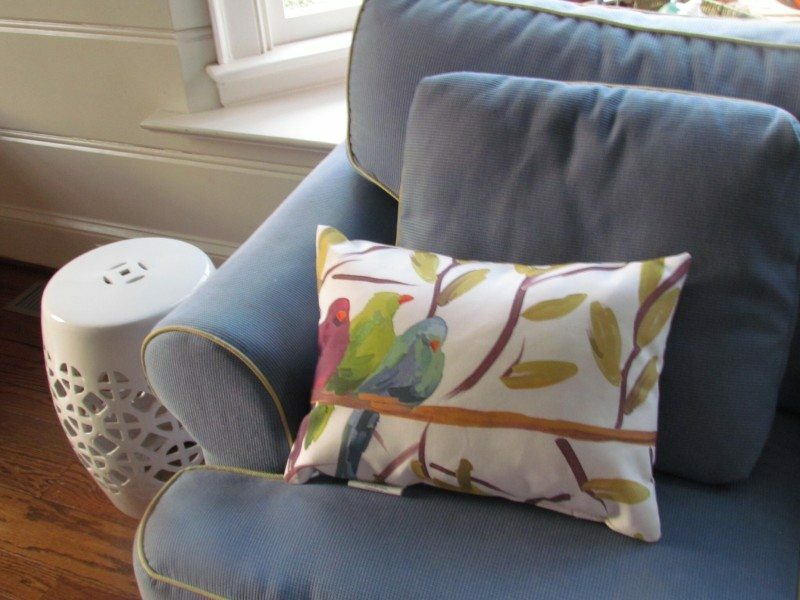 Pillows are always a creative way to add a pop of color to a room. You can see how I made adorable Dog silhouette pillows for my basement. 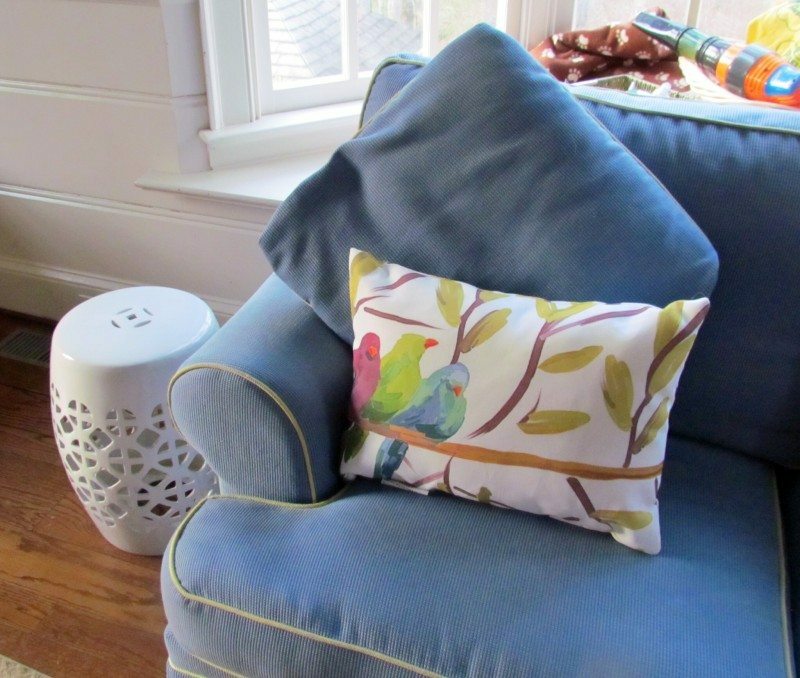 I thought the playroom could use a little more colorful pillow and I have a bench in my hallway that could adopt a pillow if we did not end up loving it in the tweens playroom. Grab yourself a cup of coffee or glass of wine, Wayfair.com has over 9000 throw pillows to choose from. Of course you can choose from. This is the decorative pillow we picked for our room. Best thing it is for outdoor use as well so it should hold up to accidental spills! 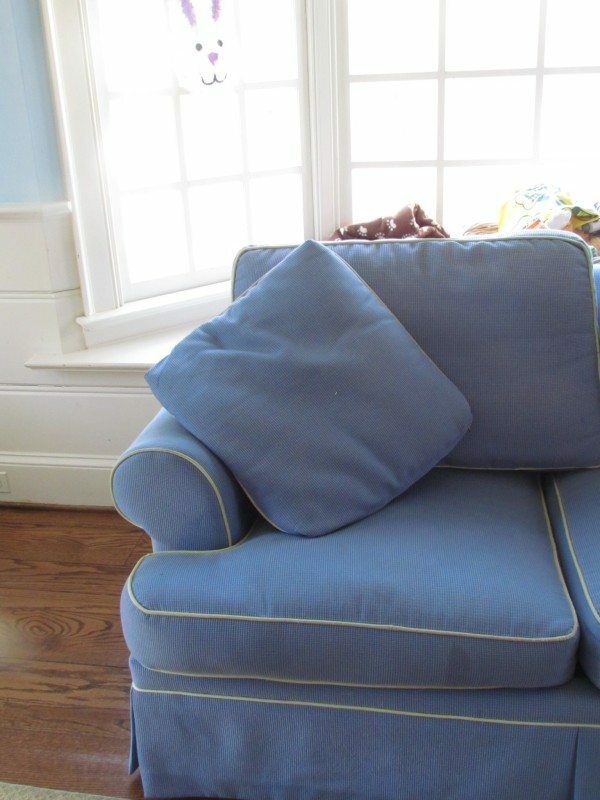 So here is our playroom couch now with its new pop of color thanks to Wayfair. There is free delivery on orders of $49 and up. I am impressed how quickly my items arrived with the free shipping offer. What do you think? Did we accomplish our task to add a pop of color? One lucky Reader will have a chance to win $100 Gift Card to Wayfair.com. Enter the Rafflecopter below and please read restrictions.